Following his highly acclaimed debut One, L-Fresh the Lion is back in our ears with the prequel to the story: Become. Flawlessly melding the personal and the political with highly danceable beats and catchy hooks, there is no doubt that L-Fresh is one of the best hip-hop acts in the country. Pray For Me opens the album and almost serves as misdirection; it’s a groovy R&B jam that gives off perfect vibes, aided by Tre Samuels’ smooth vocals. This track is quickly followed by Get Mine, which blends slick flows with a Bhangra style hook delivered by Parvyn Kaur Singh. “So I rise up but when I finally get a bit/I’m reminded I’m a second class citizen” – L-Fresh delivers hard truths on this record, stories told from a different – and important – perspective. Highlights from this record include Hold Up which features Remi, and serves as a conversation between the two rappers about their experiences with ‘fans’ who disrespect them and the ignorance they’ve both experienced. This flows into Be Cool, which details the inner thought process that L-Fresh experiences when he experiences discrimination and racism. “Some battles aren’t worth fighting,” he knowingly spits. 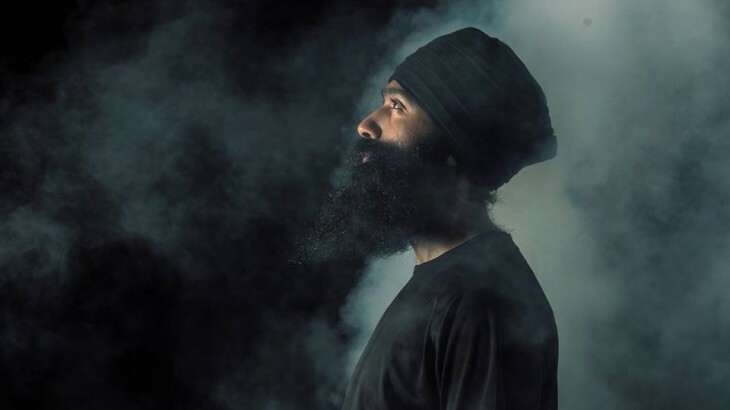 What truly makes this record standout is the focus on L-Fresh’s roots in Punjab, India. Whether that is creating infectious hooks on tracks like Get Mine or Panjab: An Introduction or discussing powerful women in the history of the region in the profound and beautiful Never Alone, Become is sonically rich and thematically poignant. This record is an opportunity for listeners to get an insight into an experience and a culture that they may not have necessarily had the opportunity to do so in the past. The album’s second single, 1 in 100,000 can only be described as a hard-hitting banger, fast, strong and taking no prisoners. Become comes full circle with Black and White as its soulful closer, which feels pensive and thought provoking, and is a beautiful finish to what is arguably one of the best albums in an already stunning year for hip-hop albums. L-Fresh, along with a slew of other amazing rappers, represents a shift in Australian hip-hop. Moving away from its traditional ‘Anglo’ focus, not to mention run-of-the-mill subject matter, it is becoming more inclusive and representative of what modern Australian society looks like today, not to mention musically enthralling. Once described by the legendary KRS-One as “he is Hip-Hop”, he is that and so much more. It’s a true privilege to listen to his music and hear his stories. Become is out now through Elefant Traks. Album Reviews L-Fresh The Lion. permalink.